Social media is one of the best ways to get your local business in front of current and future customers. On their own, many businesses find it difficult to maintain brand consistency and manage content on social media for multiple locations. Finally, there’s an answer! Berry Network’s social media marketing is a scalable solution for national brands and multi-location regional brands. Whether your business has physical storefronts or service-based territories, our experts will manage your social media by creating a professional and consistent social presence across all your social media platforms, including Facebook, Google+, LinkedIn and Twitter. We will develop custom, handwritten, localized content to increase engagement with your target market and create messaging that influences consumers to make a purchase. 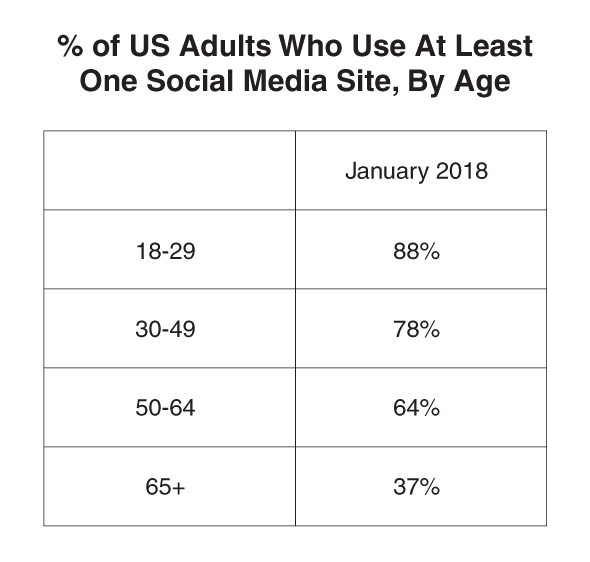 A 2018 Pew Research Center study that found 70% of Americans use at least one social media site. Equally compelling is how the social media user base has grown to be more representative of the broader population. To explore how our Social Media Marketing solution can help your business, simply click here and one of our experts will contact you. ©2018 Berry Network. All Rights Reserved.